Now that the international break is over, many fans such as myself are waiting to see how Newcastle United have been preparing for the big match at home against Arsenal on Saturday. There has been positive news from the manager as he spoke of Jonjo Shelvey’s return to the team and he will no doubt be delighted about the performance of Salomon Rondon who scored a brace for Venezuela and Fabian Schar who registered 2 assists in a 6-0 win. I suspect Newcastle will be fielded in their preferred 4-2-3-1 now that Jonjo Shelvey is available again. The playing style will remain the same: instructions to play a passive style with priority of protecting the defence and asserting the press as a midfield unit to quickly win the ball back and create a counter attack. So we will see Arsenal controlling the ball for a lot of the game, however, possession does not win you matches; how well the lads defend and attack as a TEAM is what wins matches. The magpies reinforcements in the defence and attack bring much needed muscle and unpredictability that can cause Arsenal’s weak defence many problems. Unai Emery will play his team in a 4-2-3-1 which is aggressive and can be unrelenting, Arsenal play a possession/high pressing game which allows them to control the ball for most of the match. 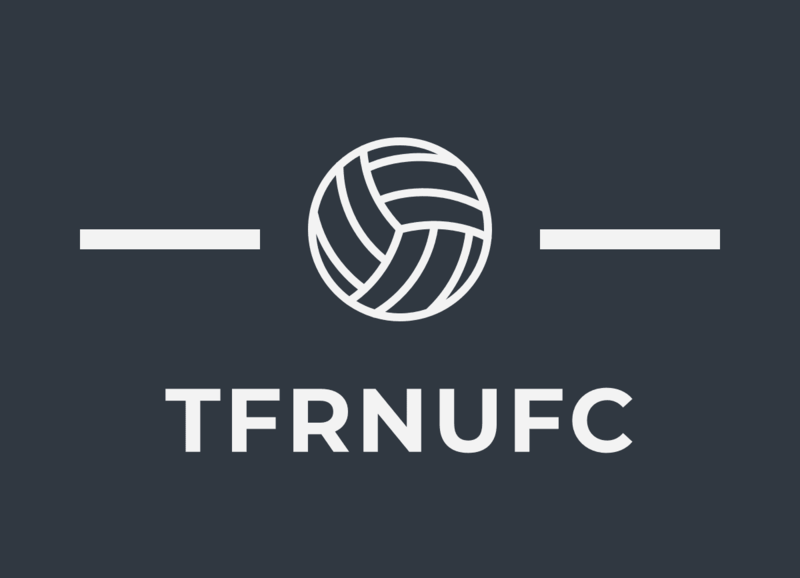 With the caliber of players at Arsenal they are confident at passing the ball around quickly keeping Newcastle at bay so the full backs can over extend and join the attack while the centre backs push into the oppositions half, thus closing down the space and time that the opposition will have when they win the ball back. The image you see above is Arsenal when they are in the high press phase of their attack, when they are applying heavy amount of pressure towards the oppositions defence and the full backs are over extended. In the white ovals is highlighted where Arsenal’s problems lie when they attack – they leave gaps out wide because of the over extension and these gaps that can be exploited. In the ovals to this image (left Newcastle’s defence out on purpose) you can see highlights of space that will be created because of Arsenal’s over extension. The wide men can plot their chances for the counter or scheme with Rondon/Joselu and Muto/Perez in an attempt to confuse the remainder of Arsenal’s defence. These gaps in defence will be one of the main focus points for Rafa’s preparation as he prepares his squad and I’ll be watching closely to see how Newcastle plan to exploit this obvious weakness in Arsenal’s attacking strategy. What do you think the tactics will be? Will Newcastle go back to playing 5-4-1 or will we see the 4-2-3-1?